This dental malpractice claim was filed in Baltimore City after a woman's jaw became infected because dental students removed her infected wisdom teeth without administering antibiotics. It was filed in Health Claims Arbitration on January 23, 2018, and it is the 39th medical malpractice case filed in Maryland this year. A woman presented to The University of Maryland School of Dentistry with pain from several of her wisdom teeth. Under the supervision of a professor, dental students were permitted to diagnose and treat the woman. The students and their professor extracted four of the woman's teeth. Even though the woman had been experiencing pain and swelling near her wisdom teeth, the students and professor never prescribed her antibiotics before, during, or after the surgery. For several days after surgery, the woman suffered from pain and infection before she was admitted to the University of Maryland Emergency Center. She underwent emergent surgery to drain and remove the infection from her right jaw, beneath her teeth and nerves. The woman suffered pain, scarring, and expensive medical bills as a result of the dental negligence. Pericoronitis (infection near wisdom teeth) is a common condition that can occur when a wisdom tooth partially breaks through the gums, creating a flap of gum tissue where food particles can easily get trapped. These gum flaps are breeding grounds for bacteria and often lead to infection. 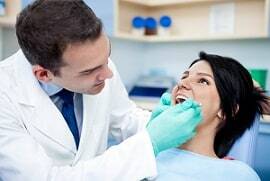 Because the woman was complaining of swelling and pain, her dentists should have suspected infection and delayed the wisdom tooth extraction until the infection was resolved. When treated with antibiotics and warm salt water rinses, pericoronitis can clear up within a week. If dentists go ahead with tooth extraction before the pericoronitis is under control, the infection can worsen and spread. The most severe cases, such as this case, require surgery and intravenous antibiotics. The plaintiff's statement of claim was brief and didn't include much detail, but it implies that dental students should not have been given the responsibility of diagnosing and treating a patient. Clinical practice is how dental students learn, but their professor should have been supervising more closely and he should have intervened in order to prevent this error. Allowing students to diagnose and treat a patient. As a result of dental negligence, the woman has suffered pain, scaring, and economic damages. View sample personal injury verdicts and settlements from Baltimore. Read about other dental malpractice cases involving infection from Montgomery County and Frederick County. Take a look at malpractice claims involving the University of Maryland Hospital.